For removing ball bearings, roller bearings, inner races and other tight parts if there is not enough space to use pulling hooks. Min pulling dia 22mm, max pulling dia 115mm. Optimal adjustment of the spindle to the shaft with 2-sided spindle tip (ball and tip). 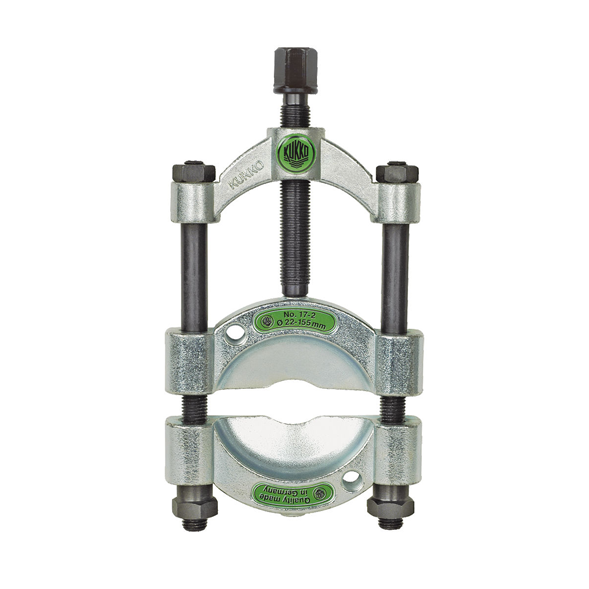 Easy to use, as the separator jaws are quickly and centrally tensioned with just one pressure spindle. Separate the part by tightening the quick clamping pressure spindle.